Politico’s Anna Palmer is one of the handful of gatekeepers for reporters hopeful to gain Capitol Hill press passes, she is one of only a few that were selected to decide The Gateway Pundit’s access to Capitol Hill. The reason Anna Palmer was presumably chosen for this powerful role was her alleged neutrality, the notion that she is a third-party with no political opinions, someone that is there for the sole purpose of examining news sources and, essentially, determining what is news and who can tell you, the reader, the pertinent stories of the day. When the Gateway Pundit appeared before the Senate Press Gallery’s Executive Committee in early June, we pleaded our case and explained to her, and her colleagues, that we are the largest political news site in middle America and that our articles are among the most shared out of all of the new media outlets. The Gateway Pundit breaks countless stories and frequently drives narrative in American journalism. Presumably, she has not read the hundreds of articles out there about Gateway Pundit’s steady Washington, D.C. expansion. 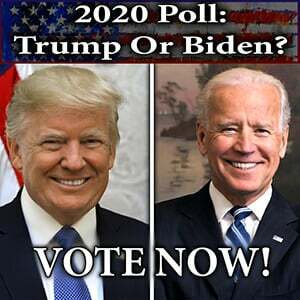 Obviously, the powers that be in America, and around the world, do not understand what “new media” is and the interconnectivity of the community that makes up the new media sphere. No longer do outlets posture as if they are unbiased, unless you are part of the old guard media. Research and information is culled from so many places within the conservative new media realm and we share and disseminate information so as to make sure as many eyes see a part of the story they might not have heard. To expect readers to only hear one side of the story is ridiculous and that is not the norm anymore. The general public wants the truth and the truth comes through patchwork reading, going from outlet to outlet and forming your own opinion or take on a situation based on the information given. We are not funded by billionaires, unlike many of the MSM outlets. We do not have special interests kicking funds our way, unlike many of the MSM outlets. It was brought up during our hearing that we believed our being denied access was based on political grounds. We believed that it was because the committee saw us as too conservative a news outlet. Anna Palmer and others on the board claimed to be impartial, people took her word for that. Anna Palmer is on that board because she is allegedly unbiased. Well, that turns out to obviously not have been the case. 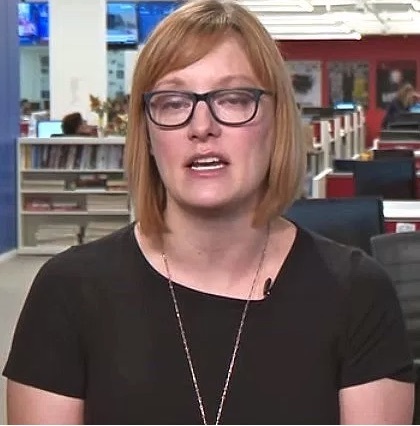 On Wednesday, it was revealed that Politico’s Anna Palmer was extremely inebriated and the “truth serum” that can be alcohol prompted her to let down her guard and exposed not only her deep-seated bias, but the intense distain she has for supporters of this administration. Hobbling over to a crowded table of conservative journalists and major conservative figures that are both in the D.C. media world and parts of the Trump administration. The simple question is this: how can a journalist who is in a position of so much power, who is supposed to be unbiased, who is in a position to decided who is and who is not “worthy news”, go off the rails at a table of Trump supporters after a few drinks? Is this the type of “objective” news source that Americans can look forward to continued coverage from? Is this the type of news source that Americans should take seriously? Well, the board seems to think so. But we would disagree. As mentioned prior, TGP will be appealing Anna Palmer and her board’s decision that barred us entry. We will continue to appeal and fight for our right to gain access cover this administration with all the tools in our arsenal. It really would be a disservice to the American people if the only thing that stands in the way of diverse coverage of Washington politics is people like Anna Palmer, people who have a distain for the politics of half the country. We will not stand for the liberal elites to deny us access to Capitol Hill. We will not allow liberal reporters to continue their war on our news site. We may have more readers than the other outlets on the Senate review panel but that is not a reason to deny us access. We may break more national news stories than these outlets but that is not a reason to deny us access. We will fight this calamity until this biased panel reverses its decision.